Quebec City, February 9th, 2016. Envol et Macadam is proud to announce the return of the PLANETROX auditions for a sixth consecutive year. Since the first edition in 2011, the event has been a success, offering a great deal of visibility to emerging artists and allowing music lovers to discover new acts. During the past few years, this initiative has also allowed Envol et Macadam to expand it’s international network and bring dozens of alternative bands from different countries to play in Quebec City. The PLANETROX project was established in collaboration with the Ville de Québec. It is an international competition and its mission is to discover the best emerging bands from each of the participating countries, and to then present them to the festival’s audience. The 2016 edition will give audiences the opportunity to witness musical talent from ten participating countries (Canada, the Unites States, Mexico, France, the United Kingdom, Germany, China, Indonesia, Japan and the Czech Republic) who will perform in Quebec City on the festival’s stages from September 8th to 10th. The PLANETROX auditions will thus give Quebec City an opportunity for international artistic exposure, all the while bringing a unique dimension to the festival. 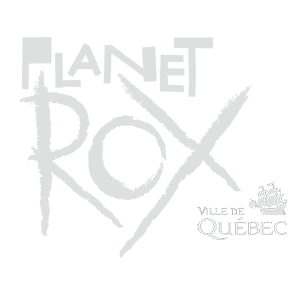 For bands from Quebec, registration for PLANETROX will take place from February 8th to March 18th. Online public voting will be possible from March 29th to April 12th. New to this year’s edition: after the online voting period, the selected bands will be invited to perform in Quebec City during one of four evenings of finals that will be held at L’Anti on May 11th, 18th, 25th and June 1st. At the end of each evening, the jury will announce the winning band who will be invited to come back and play during the Envol et Macadam festival in September. Each of the four winning bands will have the chance to give two concerts in venues during the event, giving them the opportunity to have a unique experience and perform before a decibel-hungry audience who is looking to discover new bands. A band will also be selected out of the winners from the 10 different countries and the four Quebecois winners to give a third concert on the Îlot Fleurie mainstage. We would like to thank all of the partners of the PLANETROX audition, a project that receives support from the Ville de Québec.